There is an exam fee for all grades & tests as an examiner will be alocated by the U.K.A from the mainland to assess students. Results /Assessment paper should be available within a week. Each child will recieve a Certificate with an Award 4-6 weeks after the test date. 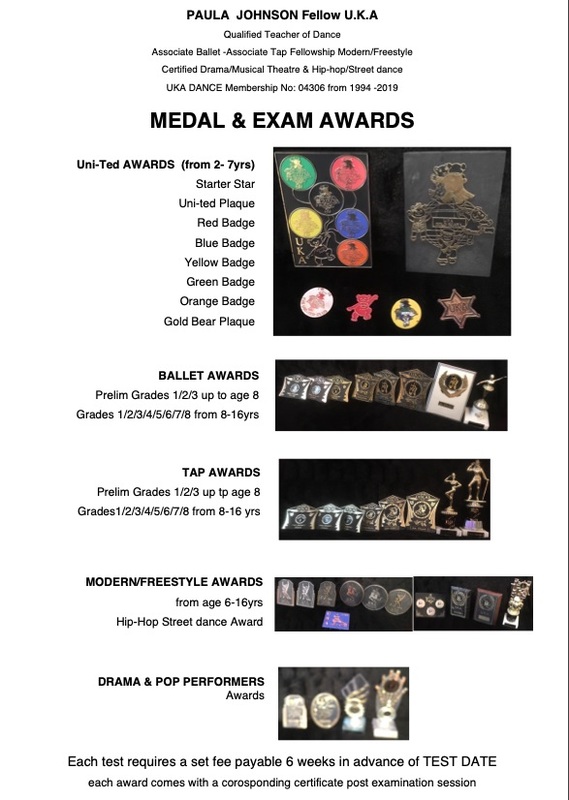 If you have any further questions please see you dance teacher. Please note Parent/Carers are NOT permitted into the Test.